The /C series of Colour Improved mercury lamps were first introduced by Westinghouse in 1950, the phosphor having been invented that year by Luke Thorington of the same company. The new material was magnesium fluoro-germanate with an activator of manganese, and for fifteen years this was the preferred phosphor in mercury lamps. Plain magnesium germanate had been known as a strong red-emitting phosphor for many decades, but it was not until Thorington's work, involving the addition of the fluoride component, that its efficiency was raised to the level to make it interesting as a coating for mercury lamps. A further advantage of this phosphor is that it exhibits its peak efficiency at a temperature of around 300°C - precisely the typical working temperature of a mercury lamp bulb. 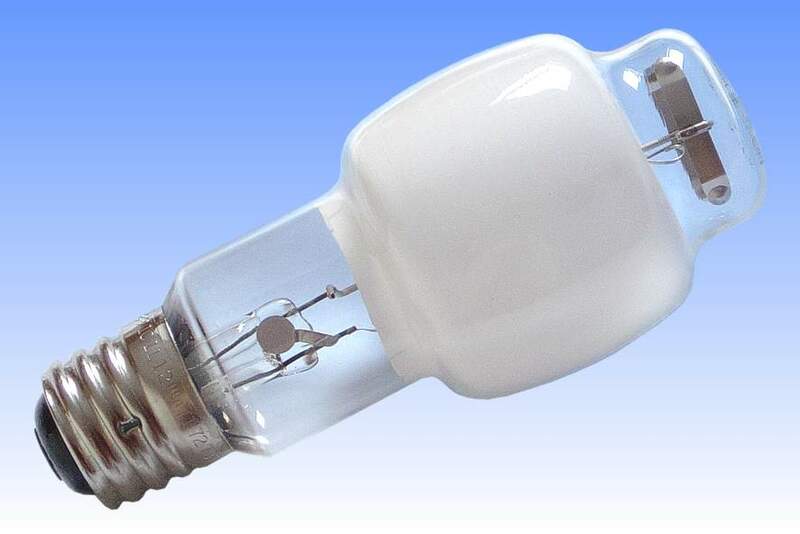 It was thus able to overcome the problems of previous phosphors, which had to be applied to very large sized bulbs to keep them cool, at the lower temperatures at which they worked effectively. Further details on this phosphor can be found in the Technical Section. Magnesium fluoro-germanate took the red ratio of mercury lamps up to about the 7% level and delivered a very useful degree of colour correction, making red colour rendering very much better. However this phosphor absorbs both short and long wave ultraviolet from the arc tube, and its absorption curve cuts just into the blue end of the visible spectrum. 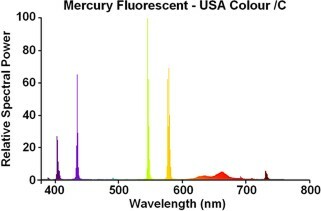 Thus some of the blue 404nm mercury line is also absorbed, leading to a drop in light output. 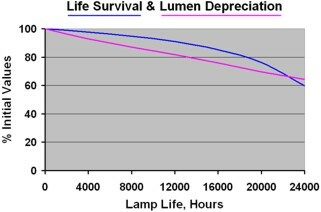 Also, because the loss of blue light is greater than the gain in red light from this phosphor, the net colour appears slightly greenish - especially at end of life as the phosphor degrades. 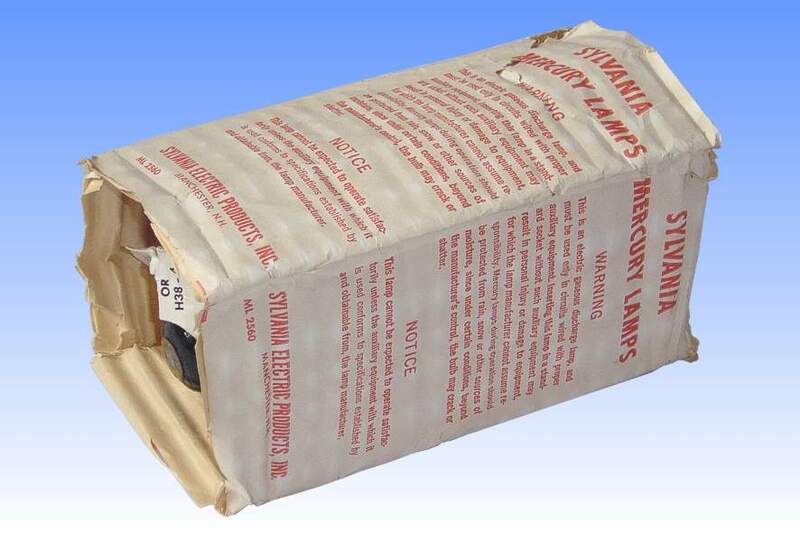 Manufacturer: Sylvania Electric Products, Inc.
References: 1) Sylvania Mercury Lamps Brochure, April 1967. 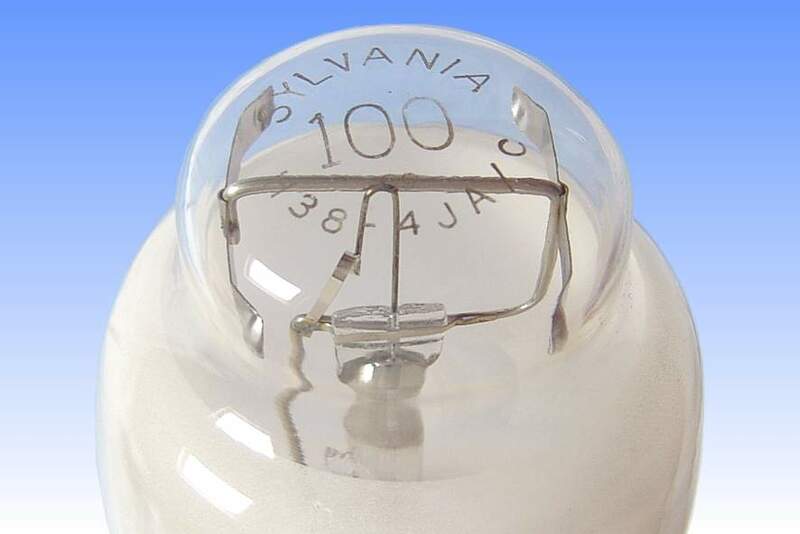 2) Sylvania HID Lamp Engineering Bulletin O-346, April 1977.